1. 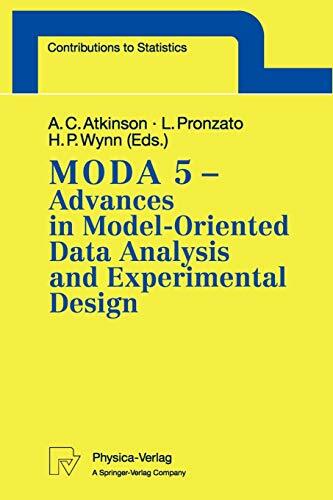 MODA 5 - Advances in Model-Oriented Data Analysis and Experimental Design: Proceedings of the 5th International Workshop in Marseilles, France, June 22â "26, 1998 (Contributions to Statistics) [Paperback] Atkinson, Anthony C.; Pronzato, Luc and Wynn, Henry P.
2. MODA 5 - Advances in Model-Oriented Data Analysis and Experimental Design: Proceedings of the 5th International Workshop in Marseilles, France, June 22â "26, 1998 (Contributions to Statistics) [Paperback] Atkinson, Anthony C.; Pronzato, Luc and Wynn, Henry P.